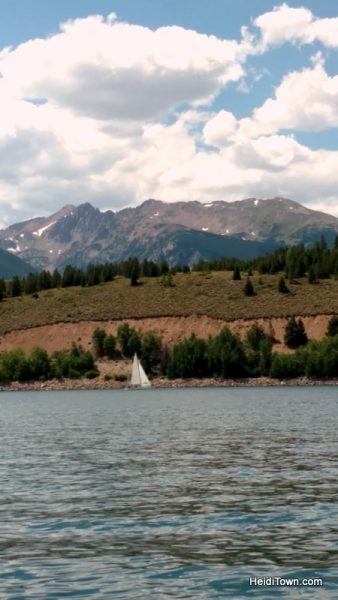 As a Colorado girl, I’m embarrassed to say that I do not SUP, I was in a kayak once, and while I grew up canoeing, I now go out about once every 6-years. Rafting and river tubing give me the heebeegeebees since a river once tried to kill me. I do, however, love being on the water and I especially love someone else doing the work (i.e. driving) while I sit back, take in the view and drink a few cold ones. 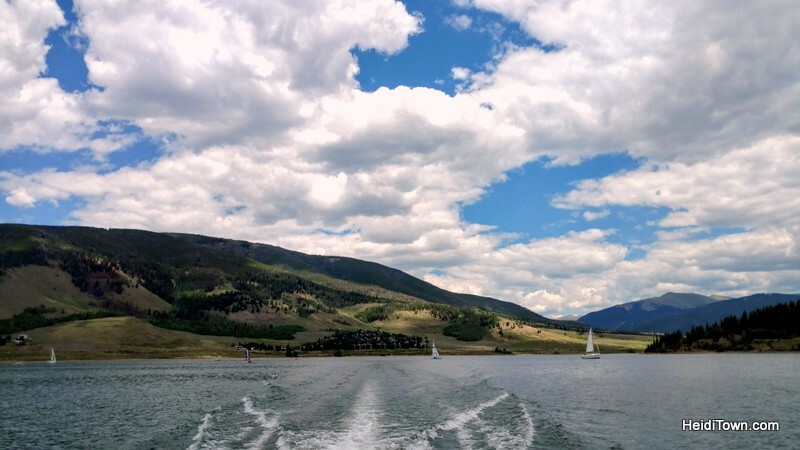 If this sounds like the life for you, it’s time to head to the Dillon Marina. That’s exactly what we did this past Saturday, and big fun was had by all involved. 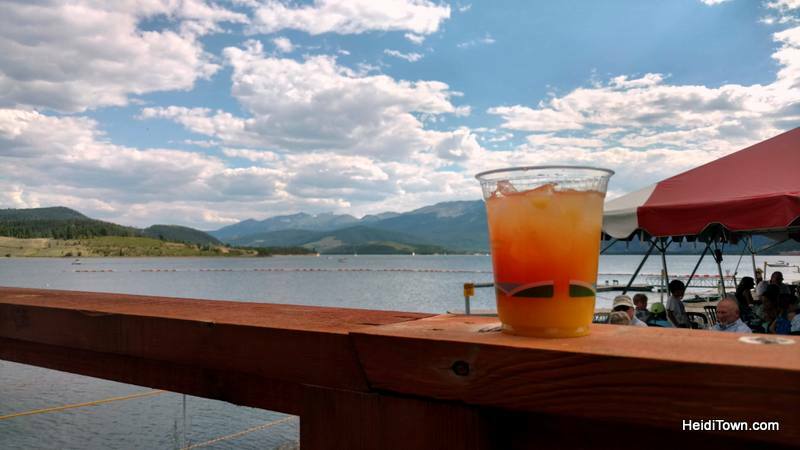 It was a revisit of our 2016 visit to Lake Dillon, an experience you can read about here. Despite the fact that it was around 80 degrees on the day of our outing, there’s no swimming allowed in Lake Dillon because it’s super duper cold. All water contact related activities are prohibited with the exception of windsurfing which you can do in a full body wet or dry suit. Windsurfing is another activity I do not do. I am very good at riding in party boats so we took out a 22-foot pontoon boat with our friends the Clarks. We were booked at the relatively new Hampton Inn & Suites in Silverthorne. 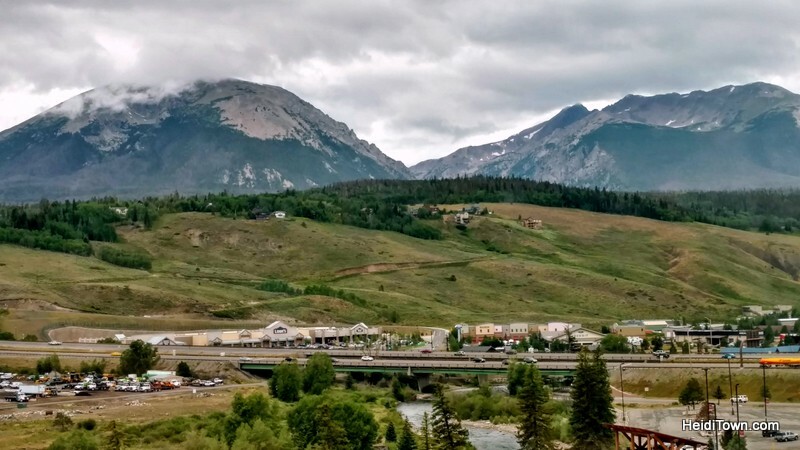 I’d never considered staying in Silverthorne while playing in the area, but it’s a nice, central location. In fact, the Hampton Inn is just 8-minutes from Dillon Marina and about 10 miles from Keystone. In addition, it’s contemporary with great views and a good breakfast. We ate our two breakfasts in their sunny breakfast room because it was easy, delicious and free. After the storm. The view from our room at the Hampton Inn & Suites Silverthorne. Another tip for anyone visiting Summit County is the free Summit Stage bus system. 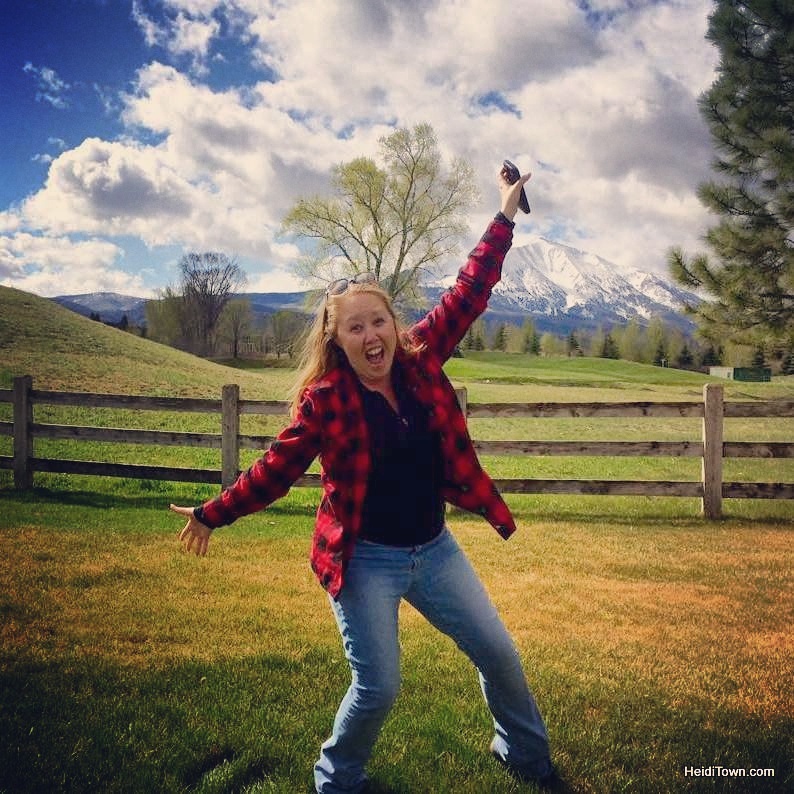 We took it back from the Keystone Wine & Jazz Festival on a Sunday and it was so convenient. If you’re staying at the Hampton Inn, get off the bus at the 1st Bank stop and you’re about 3-minutes by foot to the hotel. The rental process for a boat at Dillon Marina is straightforward and despite summer lines, we were in and out fairly quickly. Be sure to fill out your waiver (one per boat) online before you arrive. We got to the rental shop 15-minutes early, as instructed, and we were pulling out of the marina at our designated time of 2:30 p.m.
Another tip: Parking your vehicle at the Dillon Marina can be a bit tricky so arrive with enough time to play the “parking game” for a few minutes. 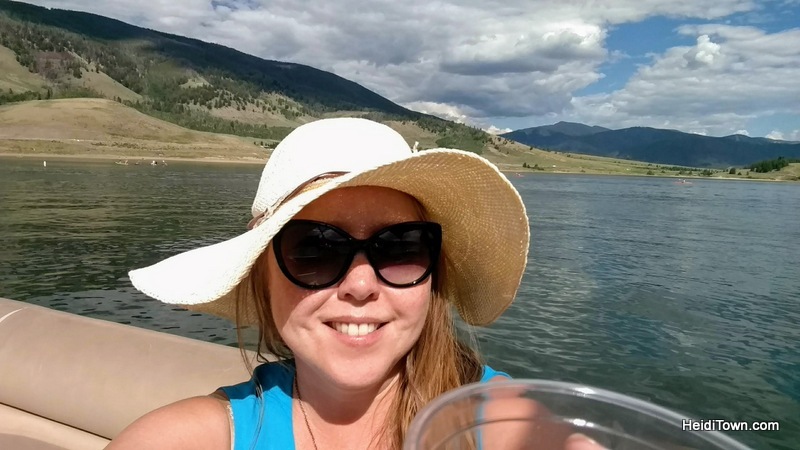 We spent two relaxation-filled hours boating around Lake Dillon with my husband in the Captain’s Chair and in charge of the tunes. The radio on our pontoon boat didn’t work but with today’s new phones it doesn’t matter. We found a boating-appropriate Pandora station and hooked Ryan’s phone up to a little speaker we’d brought along. We spent a good 30-minutes playing a game Ryan made up called, “What’s that television show theme song.” I’d highly recommend this activity for anyone raised in the 80s and 90s. 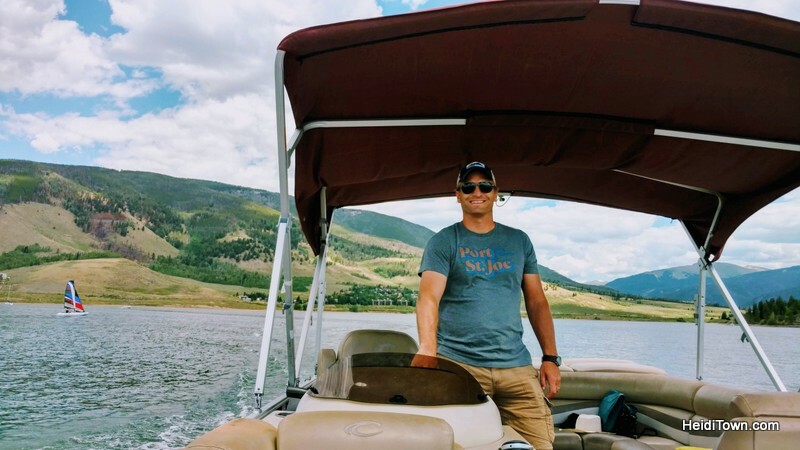 Spending time on Lake Dillon is the perfect way to spend some of your Colorado summer, and if you grab a couple of friends it’s a relatively affordable activity. At $175 for two hours, that’s $43.75 per person for four and just $29 per person for six. And don’t miss Pug Ryan’s Tiki Bar for a fancy cocktail after your boat outing. Located at the marina, this is the place to see and be seen in Dillon, at least we’d like to think so. 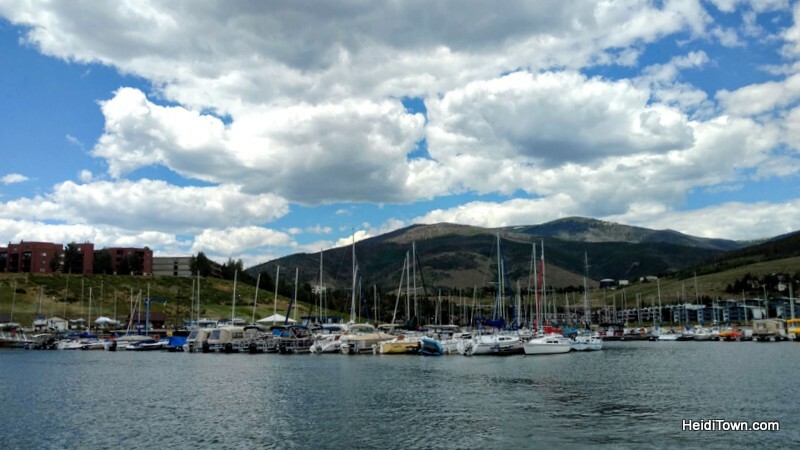 Thank you to Dillon, Silverthorne and the Dillon Marina for hosting our outing and hotel.